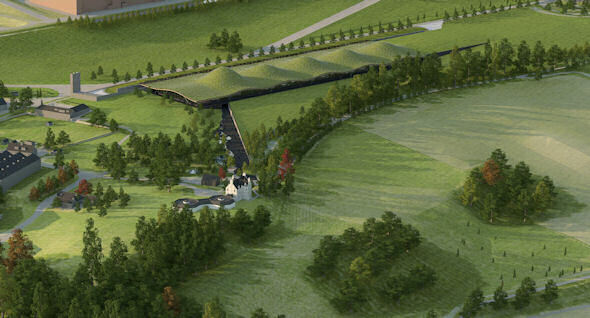 The Macallan has today (5th August 2014) been granted planning permission by The Moray Council for a new £100m iconic distillery and visitor centre. Works will now progress on the delivery of the new facility which is scheduled to open to the public in Spring 2017. The Macallan, one of the core brands of Edrington, Scotland’s premier producer and distributor of global spirits brands, has appointed Robertson, as preferred contractor for the new facility and Forsyths of Rothes as supplier of the distillation equipment. Graham Hutcheon, Group Operations Director, Edrington, said: “We are delighted with the decision taken today by The Moray Council planning committee. This permission enables us to forge ahead with our work on site. Following a competitive tender process we have selected Robertson as our preferred contractor to deliver our new distillery and visitor centre. We have assembled a first class team, including internationally renowned architects Rogers, Stirk, Harbour and Partners, and are confident that Robertson will complement the existing team and our aspirations for this project. In addition to creating a site of major architectural significance, the new distillery will ensure the on-going quality control of the production of The Macallan, both of which further consolidate The Macallan’s position as one of the world’s leading luxury spirits. Over time the distillery will deliver additional capacity to meet the growing demand from existing and new international markets. With its rolling roofscape, the distillery has been designed to complement the natural beauty of the area and The Macallan Estate, which overlooks the River Spey. Bill Robertson, Executive Chairman, Robertson, said: “We are delighted and honoured to have been selected by The Macallan to build their new world-class, iconic distillery and visitor centre. “As a local business we have worked in the whisky industry for many, many years and fully understand the aspirations of the sector. Perhaps more importantly we have taken the time to understand The Macallan, the business, its objectives and its reputation for high quality in all it does. The Macallan is recognised around the world as a marque of excellence and craftsmanship. The new facility will embody The Macallan’s uncompromising approach to quality and luxury. Work on site is due to commence in October this year.